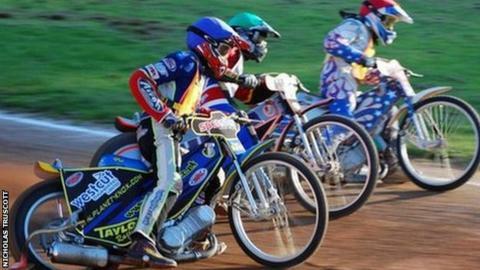 Plymouth Devils went down 52-40 at the hands of unbeaten Edinburgh in their first home league match of the season. Skipper Ben Barker was Plymouth's top scorer with 12+1 but that could not prevent the heavy defeat. Devils had started well with advantages in the first two heats but back-to-back 5-1's for the visitors in heats four and five put them in front. The quick-gating Monarchs continued to dominate and wrapped up the win with three heats remaining. In taking victory, Edinburgh have set a new club record of 11 straight wins and sit top of the table, while the Devils remain without a point from two league matches.